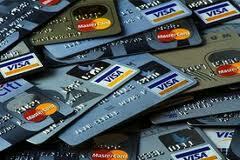 New Jersey has many criminal laws that relate to credit cards. These laws, generally, are collected in N.J.S. 2C:21-6. They generally fall into two categories. The first category relates to the means by which a credit card is obtained. The second category relates to how the credit card is used. We discuss both of those categories on this page. Now let's translate that into plain English. A credit card is that little plastic thing that people commonly carry in their wallets. Or that they liberate from other peoples' wallets. It is illegal in New Jersey to make false statements for the purpose of inducing a credit card issuer to issue a credit card. To be found guilty of this offense, the applicant must know that the statement that he makes is false. New Jersey law does not criminalize unintentional errors. The applicant must also intend that the credit card issuer rely upon that false statement in its decision to issue or not issue the credit card. There are actually only two categories of false statements relating to credit cards that New Jersey prohibits. The first type of false statement concerns identity. It can be the identity of the applicant, or of any other person, but this first type must relate in some way to identity. The second category of false statement concerns statements of financial condition. The false statement can relate to the financial condition of the applicant. It can also relate to the financial condition of any other person. One example of this is when an applicant exaggerates the net worth of a prospective guarantor. A second example is when the prospective guarantor exaggerates his own net worth for the purpose of inducing the issuer to issue a credit card to someone else. Note that a person can be guilty of this type of credit card crime even when the issuer refuses to grant the credit card. It is the making of the statement that constitutes the offense, regardless of whether the credit card actually issues. Activities described under this heading are fourth degree crimes. The next credit card-related activity that New Jersey prohibits is credit card theft. Credit card theft means taking someone's credit card without their permission. It can also include receiving a credit card belonging to another person when the receiver knows that it was taken without permission of the owner. For the receiver to be guilty of credit card theft, however, he must additionally have the intention of using it, or selling it, or transferring it to another person. When a person possesses credit cards issued in the names of two or more other people, New Jersey law presumes that the possessor is guilty of credit card theft. New Jersey presumes that a person who has in his possession two or more stolen credit cards is guilty of credit card theft. Credit card theft is a fourth degree crime. Credit card theft in New Jersey also includes receiving or obtaining a credit card when the receiver knows that the card was lost, or delivered to the wrong person or address. Here, however, the person is guilty only if he keeps the card intending to use it, or to sell or transfer it to another. Closely related, it is a crime to sell a credit card to, or purchase a credit card from, anyone, other than its issuer. The activities described in this paragraph are fourth degree crimes. Credit card theft in New Jersey also includes falsely making or embossing a purported credit card, or using such a card, when the intention of that person is to defraud the issuer, or anyone else providing goods or services. “Falsely makes” means making something that purports to be the credit card of a particular issuer when that issuer did not authorize that action. “Falsely embossing” means completing without authorization a credit card by adding matter, other than a signature, that an issuer requires to be on the card before it can be used. The activities described in this paragraph are third degree crimes. 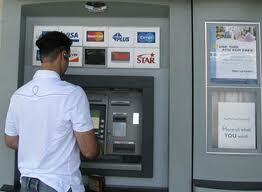 There is also a variety of credit card theft in New Jersey that relates to signatures. Credit card theft includes the situation where a person other than the person to whom the credit card was issued signs the credit card. What we refer to here is the signing of the credit card itself, not the sales slip. However, signing someone else's credit card is a crime in New Jersey only when done for the purpose of defrauding the credit card issuer, or another person. When signed with such a purpose is a fourth degree crime in New Jersey. This concludes our look at the first type of activity that New Jersey defines as credit card crime. None of the types of credit card activity that we have looked at thus far involve actual use of the card. So long as the intent to defraud exists, those types of theft are completed even when no actual use is made of the card. We can now move on to the second category of credit card crimes that New Jersey recognizes. This second category criminalizes fraudulent use of a credit card. There are several ways to accomplish such fraudulent use. One way is to actually use (or attempt to use) a credit card obtained in violation of the credit card theft laws that we just described. A second way is to use without authorization any credit card belonging to another. Activities described in this paragraph are third degree crimes in New Jersey. Another type of credit card crime in New Jersey concerns persons who accept credit cards in payment for goods or services. That person commits a third degree crime when he accepts the credit card if he knows that the credit card was falsified, or obtained fraudulently, as described above. It is also a crime for a person authorized by a credit card issuer to claim that he provided goods or services upon presentation of a credit card by the cardholder when, in fact, he has not done so. To violate this provision, this false claim must be in writing. The discussion on this page is greatly simplified. New Jersey laws relating to credit cards are actually quite complicated. Their provisions have many nuances and subtleties that must be considered. Note that New Jersey classifies all credit card offenses as felonies. 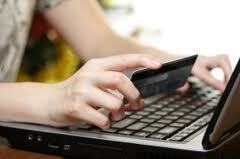 Thus anyone charged with a crime relating to credit cards should contact an experienced criminal lawyer immediately. Page last updated 20 August 2017, and displayed Thursday 18 April 2019, at 07:17:18 EDT.